The sixth annual Comics Come Home, a benefit for the Chris Farley Foundation, took place despite the absence of headliner Jim Breuer Saturday at 7:30 p.m. in the Wisconsin Union Theatre. Performers included John Roy, 2003 Star Search comedy winner; Tim Kazurinsky, actor from "Police Academy;" The Farley brothers, improvisational comedians from the acting school Second City and other comedic acts. Breuer intended to return and host the event as well as perform with his comedic heavy-metal band but was snowed in in New York. He has promised to come in January for another performance, but plans for that trip had not been settled as of Saturday. "It\'s unfortunate that Jim Breuer could not be here tonight. He is a very funny comic and he would have added a lot to the show, but the most important thing is to come here and support the Chris Farley Foundation and I think it\'s going to be funny no matter what. With or without him," said audience member Nicole Worden, a recent graduate of UW-Madison. To compensate for Breuer\'s absence the local band Jimmy\'s Comet played and the comedians present performed extended sets. The Chris Farley Foundation is about six years old and was organized by Chris Farley\'s immediate family after the actor\'s death due to a drug overdose in December 1997. The Foundation aims to prevent substance abuse among children, teens and young adults, using humor as a tool to communicate their message. "It is important to me to be a part of something that is doing something in the right direction," Kazurinsky said. "You do not have to be high to be funny." Comics Come Home is the largest fundraising event for the Foundation and has included acts such as David Spade, Tom Arnold, Bob Saget and Dave Chappelle in the past. Tom Farley, Chris Farley\'s father and president of the foundation, noted the significance in holding this event in Madison each year. "This is a Madison foundation. No matter what we do around the country this is where we are based and so we want to connect to the hometown where Chris grew up," he said. Tom Farley added while ticket prices might not have been affordable to students, a portion of the money raised at the event will filter back to UW-Madison. He named the All Campus Party, a week of campus-wide, substance-free events, as an event that the Foundation regularly supports. John does a commercial with the Packers coach! MAYBE WE should call this one "A Star Is Born." Perhaps more accurate would be, "The Ego Has Landed." "Next we remake Goodfellas,'" Joe "Buffo" Cerniglia was saying Thursday. "Joe Pesci is out and I am in." Earlier this week, Cerniglia -- a renowned Madison character and recent past president of the Italian Workmen's Club -- was in Green Bay acting in a television commercial with no less than Green Bay Packers head coach Mike Sherman. The commercial, for Cellcom Cellular, was produced by Madison-based John Roach Projects, and Roach tapped Cerniglia for the role of an assistant coach at the urging of John's colleague and brother, Jim Roach. "He was great," John said. "He stole the show. Except he kept asking me, What is my motivation?' "
Cerniglia said he had a bit of a problem with the script because it identified his character as a "huge" assistant football coach. "I don't want to be typecast as huge," Cerniglia said. He said he talked to Sherman about his years as general manager of the semi-pro Madison Mustangs, recalling one Mustang player, Sonny Redders, who played for the Mustangs both before and after a short stint with the Packers. In the Cellcom spot, Cerniglia is grilling steaks for the football team. His lines: "Thirty pounds should be enough." And: "Don't forget the bibs." The commercial, which will air this summer, also features Madison natives Kevin and John Farley. GROVE CITY (August 17, 2004) - First Lady Hope Taft teamed with Tom and John Farley, brothers of the late Saturday Night Live comedian Chris Farley and O.S.U. students to provide improvisational comedy training for twenty Ohio high school students at the Buckeye Ranch in Grove City. The training is part of the First Lady's Smart and Sober effort to help children refuse alcohol. The students traveled from Toledo, Cincinnati, and the Columbus area. "I am proud to be a part of this effort to give young people another tool to refuse alcohol, tobacco and other drugs," said Mrs. Taft. "With over two million kids ages 12-17 already bingeing on alcohol, teaching young people a usable skill is needed to help keep all Ohio's children Smart and Sober." The young people spent the day learning techniques to hone their comedic talent that can also be used as communication tools to help resist the use of alcohol and other drugs. At 3:00 p.m., the students performed before a live audience of parents and guests using the skills they acquired at the training. "Young people naturally possess humor and seek ways to have fun and that is an important part of the Farley Family tradition," said Tom Farley, President of the Chris Farley Foundation. "In loving memory of Chris, we want to teach kids how to channel this great asset into a life-long skill to assist them in making healthy life choices." Chris Farley died in 1997 from complications resulting from his abuse of alcohol and other drugs. The young people trained today will demonstrate their comedic skills at Mrs. Taft's second Smart and Sober Celebration for Ohio's middle school students on October 6, 2004 at the Jerome Schottenstein Center at The Ohio State University campus. Mrs. Taft started the Smart and Sober campaign to help raise awareness of the need to prevent early use of alcohol. Smart and Sober is FREE and open to all children in the fifth to ninth grades. For more information, please visit www.smartandsober.org or call First Lady Hope Taft's Office at (614) 995-2000. # # #Contact: Marcie Seidel, Chief of Staff, Office of the First Lady, at (614) 995-2000. It’s a massive,first-time-ever,National Lampoon event! the road. College shows will never be the same. best talent and entertainment that comedy has to offer. ANIMAL HOUSE, VACATION, the legendary LEMMINGS and VAN WILDER. in a National Lampoon production. result of voting from the students at every school…and it’s all being filmed for TV! a comedic arena that has yet to be seen…inside the mind of a comedian on the road. middle of the newest, funniest reality show from National Lampoon. National Lampoon will award a walk-on role in an upcoming National Lampoon production. Students who attend the COLLEGE COMEDY SHOW wearing a toga, will receive a raffle ticket upon entry. play NATIONAL LAMPOON’S TOGA TRIVIA. 60 chance to win a walk-on role in a National Lampoon production! on a live webcast on nationallampoon.com as well as being broadcast on National Lampoon Networks. 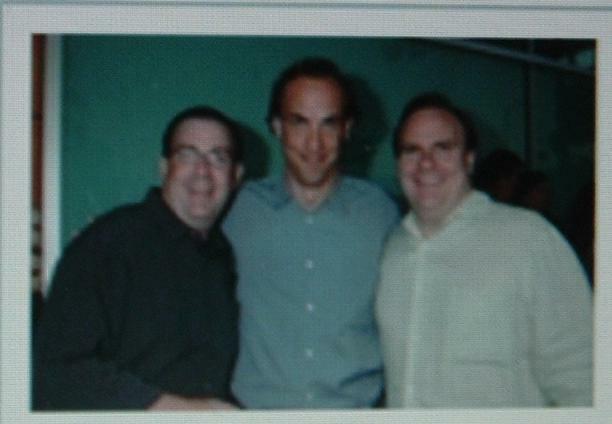 Beard (former editors of Harvard Lampoon), and magazine publisher Matty Simmons. standard that would never be matched. they will not be disappointed. Please don't sue me, anybody... I'm just trying to spread the love!